Your wedding day will undoubtedly be one of the most important of your lives, and you will want to look and feel your best. Whether you are the bride, groom, or a member of the wedding party, you will want to look at the dozens of wedding photographs and videos and feel confident that you looked great. Looking and feeling great aren’t just about the clothes or your hairstyle, in actual fact your smile plays a huge part in your appearance, and for a truly stand out smile at an occasion as important as a wedding, makeover treatments are available. 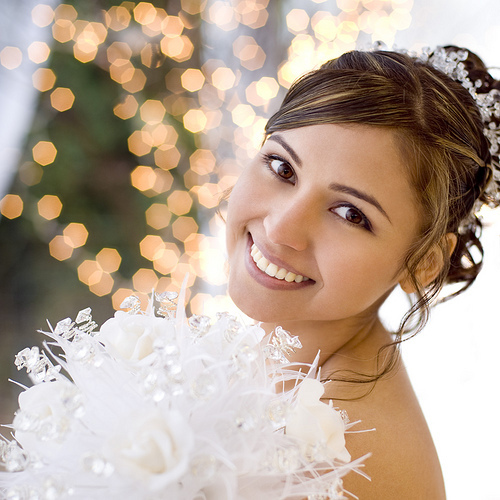 Many dental providers offer smile makeover services, and some tailor these for weddings, but the end result of these treatments will be the same: a brighter, healthier smile which will not only help you look amazing, but help to boost your confidence so that you truly enjoy the wedding experience. Makeovers will typically involve treatments like teeth whitening, porcelain veneers, denture services, and braces, all of which will endeavor to enhance your smile. Whitening treatments are an extremely popular option and a great example of how a quick treatment can dramatically improve your smile. If you already have dentures, you can improve their function and appearance through implants, or if you have crowns or existing veneers, you can replace them with porcelain options which are virtually indistinguishable from natural teeth. Some cosmetic dentists offering smile makeovers will provide their dental services alongside facial rejuvenation techniques to improve your smile by smoothing wrinkles around the mouth or enhancing the lips. These options can be quite popular as a combination of dental cosmetic and facial aesthetic smile makeover treatments can have dramatic and remarkable effects. The variety of different smile makeover treatments available to you means that your dentist will be able to put together a makeover package that suits you. The cost of smile makeovers can vary as well depending on the treatment, and this can also be adjusted based on which options you pursue and how much you are willing to spend. Ultimately a smile makeover is as extensive as you want it to be, and the results you get will help to ensure that your wedding is a fantastic in every possible way.